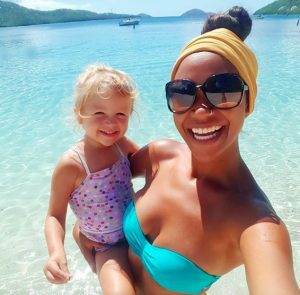 The best time to instill wanderlust is at a young age, and the moms featured here have been taking their children places even before their kids can walk. 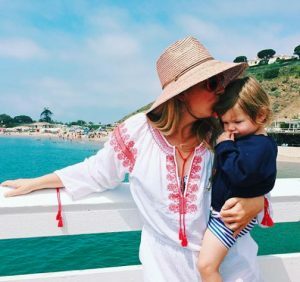 Travel and adventure don’t need to stop once you become a mom, and here is proof that you can have fun even with kids in tow. 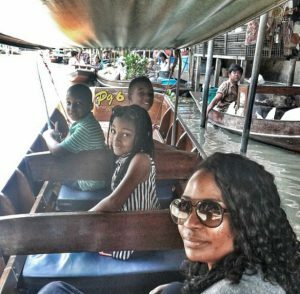 These traveling moms come from all walks of life, and they have made travel a top priority, enriching their and their kids’ lives with experiences that will sure to mold them into understanding, sympathetic, well-rounded and adventurous global citizens. Follow them on Instagram, join their networks, and share/connect with other globe-trotting moms. As an award winning travel writer, Kimberley has infused her zest for exploring the world into her daughter Chloe, who is now 19. Chloe has been traveling since she was born! The family lived in Europe for six years, went on a safari in Africa, sailed the Caribbean, and learned to snowboard in Canada. “What travel has done for her is turn her into an open minded human who speaks French and appreciates other cultures and eats just about anything. She’s become an engaged, curious and open minded adult,” Kimberley said. For Kimberley, the key to traveling with children, is to make plans with everyone in mind and keeping kids engaged in the process, which in turn makes them more accepting when it comes time to doing what the adults want. Several of Kimberley’s essays have been published in The Best Women’s Travel Writing and The Best Travel Writing books. She has also authored a Lowell Thomas Award winning guidebook for Michelin about Brussels, Belgium, and wrote Walnut Wine & Truffle Groves, a culinary travel book about the people and food of Dordogne region of France. 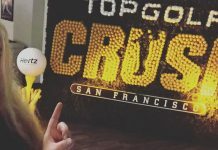 She’s currently working her new book, Unique Eats and Eateries of San Francisco, due out in October. 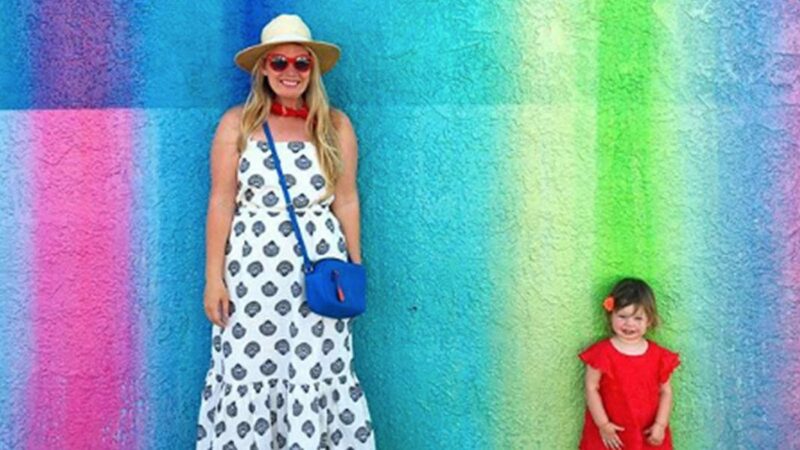 With two kids under four, Lillie Marshall has her hands full, but that doesn’t stop her from using her spare time to wander the world with and without the toddlers. When Lillie and her husband had their first child, Devi, they took him everywhere, including to Ireland, Puerto Rico, Finger Lakes, and Canada. Now that they have two children, they have had travel within the States. After spending most of her adult life living and volunteering in Africa, Sophie is a self-described travel junkie. At first the idea of staying put after her daughter was born terrified her. Post divorce, Sophie choose to stay put for a few years to solidify her three-year-old Sakari’s relationship with her father, before taking her on their first trip. Sophie and Sakari recently embarked on a six week adventure in the Virgin Islands. Sophie hopes to relocate to Haiti, where she plans to facilitate aid and organize volunteer tours for others. “It’s not the shiny beautiful sights we see or foods we eat that are sticking to the wall of my heart, it’s the hard moments and how we come through them,” she said. Knowing that the best life is possible by prioritizing both her need to volunteer abroad and have her child near her has brought freedom to Sophie. “It doesn’t have to be one or the other if I am willing to grow,” she said. When not on the road, Sophie works as an online health coach and is based on Cincinnati Ohio. Find out more at sophiebeya.com. Natalie DiScala, along with her husband Johnny Jet, have traveled to 65 countries together as a couple. That didn’t seem to stop the globetrotting duo once they had Jack 11 months ago. Little Jack has already been to 10 U.S. and Canadian destinations, and the couple wants take him to all the incredible places they’ve visited, from Tahiti to Thailand. “The best thing about traveling with a baby is that everything seems new again. It’s like I’m seeing the world for the first time through his eyes. It’s an incredible experience and traveling with Jack is just the best thing in the world,” said Natalie. But traveling with a baby isn’t without its challenges, especially on a plane. Natalie and her husband are usually exhausted by the end of the flight after keeping the boy contained and entertained. But the moment they land, Natalie says all of it forgotten and they just can’t wait to do it again. When not traveling, Natalie gives expert travel and style advice on Oh! Travelissima. M’Kenzie and her husband sold their home in Salt Lake City to travel the world for a year with their three kids, Porter, Beckett, and Wren, ages 6, 4, and 1. They are living their dream and sharing their journey on social media and through their blog fivetakeflight.com. They are currently making their way across Europe, and will soon be in Croatia, Slovenia, Hungary, and Denmark. For M’Kenzie, the motivation comes from wanting her children to be compassionate to all different ways of living, cultures, and beliefs. “As we teach them social virtues, I hope to create a functioning generation in them,” she said. Travel also allows her to slow down the pace because the kids need down time from running around. Her one travel must have- doggie poop bags- to bring on the road to collect everything from stinky diapers to dirty clothes. But overall, it’s teamwork that allows this family of five to explore and bond. As a content director for Pet360 Media, a mother to a toddler, two cats and a dog, Wendy has her plate full. 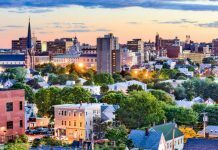 She resides just outside of Philadelphia, and has already taken her son, Sam, all over the country, including seven hour road trips to Martha’s Vineyard. Sam is mesmerized by all vehicles, which makes it easier to pass time on long rides, because he spends a majority of his time looking out the window and narrating the various vehicles he sees, saying “Mommy! Did you see that blue Mack Truck?!”. “We’re amazed at his total wonder for something we never appreciated without him,” she said. Wendy offers three valuable pieces of advice for moms travelings with toddlers- take out picture books about airports and road trips from the library to read to them as a point of reference, pack as lightly as possible, and make sure to treat your older toddler to a lollipop on planes as the cabin pressure changes during takeoff and landing. Wendy founded the website PowerSuiting.com for women who need practical, fun tips and motivation to get the most out of their working life. You can find her on Twitter @PowerSuiting and @bestwendy. Keryn Means loves seeing the world through her children’s eyes. Her two sons, Dek and Ty, find so many things that she would never notice on her own. “They make me dive into the local scene better than any guide book or adult trying to get ‘off the beaten path’ I have ever met, and meet locals like no one else can because they don’t care about appearances and are never embarrassed,” she shared. 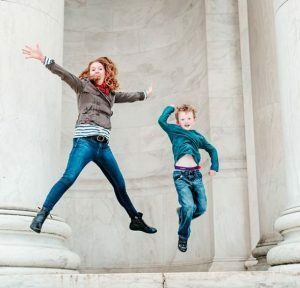 Keryn believes traveling with kids is not about seeing every museum and historical monument; it’s about finding a connection to a place. It also doesn’t take a large budget or flying to far off lands. She suggests bringing children to try a new restaurant in the neighborhood, visit a park in the next county, and work your way up to adventures. Her oldest started traveling at three months old and youngest at seven weeks old, and they’ve been across the U.S.A and Hawaii, to Europe, Asia, the Caribbean, Mexico and Central America. Keryn and her husband chronicle their adventures on WalkingOnTravels.com, which provides inspiration, restaurant recommendations, favorite shops, hotels reviews, packing lists, cultural events, and fun activities the whole family can enjoy. This year, they launched a partner business with Wanderlust Living called TwistTravelmag.com magazine. Jade’s daughter Augustine is just under two years old and has already been on 71 flights and acquired three passport stamps. Their favorite destination so far is Grenada. 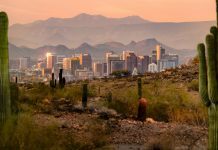 Like most parents who travel with their children, Jade and her husband have had to slow down their pace when traveling, scheduling less each day to truly immerse themselves in every location. Jade recommends new parents to start small, a road trip or a short flight to ease into longer trips, and to invest in a great backpack carrier to take on hikes or long walks. Jade and her husband are launching a new product line in November for parents and kids to make the most of each weekend. “We love to promote the get out and explore mentality every single day, whether you’re in your own back yard or traveling internationally,” she shared. 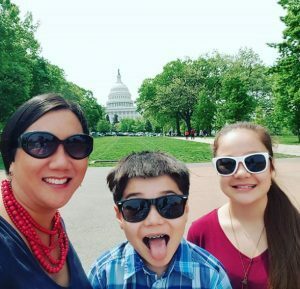 Having a former teacher with a love for travel as a mom, Leticia’s kids (Emily, 13, and Thomas 11) have been lucky to explore the world. They’ve traveled throughout the United States, and have visited China, Hong Kong, Japan, Rome and explored Istanbul and sailed the southern coast of Turkey. This summer, the family spent weeks traveling to Vietnam and Thailand. Leticia’s daughter has also traveled with her to Haiti to visit the handicrafts sustainable job programs that they’ve been working with for the past six years since the earthquake. 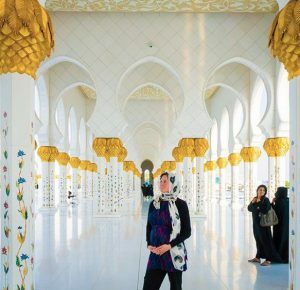 “Besides teaching geography, culture, and history, travel helps kids think about the world outside their immediate community by providing a different perspective and transforming them into thoughtful global citizens,” said Leticia. She’s sure that both her kids will want to study broad as college students. Leticia will be attending the Travel Bloggers Summit on Study Abroad & Global Citizenship with 99 other travel influencers this September in New York City. She runs the website Techsavvymama.com where she shares technology and educational resources for today’s families. At just six week old, Beth’s daughter Nora Marie took her first trip to sweltering Austin for a wedding. Since then, in just a few months, she’s been on seven planes and was probably the youngest person to visit Bourbon street. 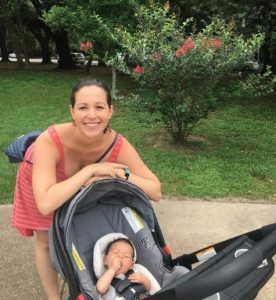 Beth’s favorite part about traveling with her baby is connecting with others. “Having a baby has definitely allowed me to connect with people in one of our most common denominators – the fact that all societies have children no matter how different we are in other ways!” She hopes to take her daughter to visit her husband’s family in Haiti. Beth runs Wanderful, a global home sharing network for women travelers around the world. Find ways to meet other moms, host parties, or even offer advice on the road through supportive and trusting network of women who love to travel. Four years ago, Tanai Benard relocated to Abu Dhabi with her three kids, Iyanna, Zavien, and Dezmond when they were all under ten. Since then, they’ve traveled to New Zealand, Philippines, Thailand, Sri Lanka, Malaysia, Indonesia, Netherlands, France, Cuba and the Dominican Republic. 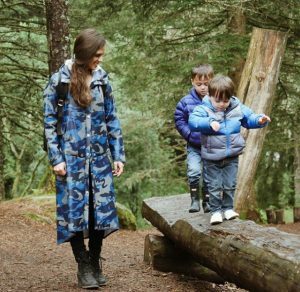 Her kids are her best travel buddies, and she makes sure to have a very light day-today itinerary. “My children are normally the ones that help lead the way when roaming in new territory. They are absolutely fearless when it comes to new adventures,” she shared about how free spirited her children are. 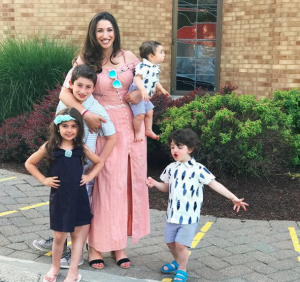 “I am one of the many wandering moms who have made a conscious decision to see the world with my Cool Kid Crew by my side,” she wrote in her article on Huffington Post. 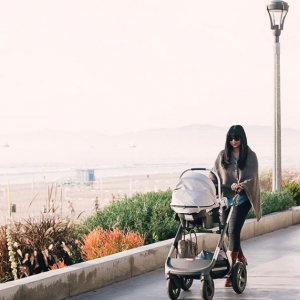 Tanai relies on social media to find resources, tips, and flight deals, and co-founded the Facebook group Wandering Moms, a large group of 8,000 moms all over the globe who want to give their children the world. 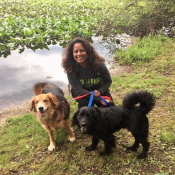 More recently, she has moved back to the States and started sharing her journey across America via Amtrak with her kids at 4 Deep Around the World. As an avid traveler and editor for a variety of travel publications, Bryce takes exploring seriously. She has taken her four kids, Benjamin (8), Rivkah (4), Avi (3), and David (who’s 10 months old) all over the world, from the East Coast to Central America. 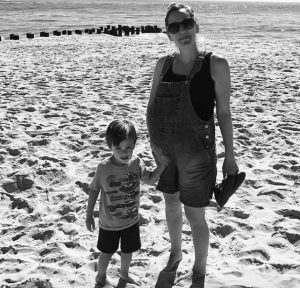 Her children love planes, and every beach they could get their hands on. For Bryce, it’s important to expose kids to new places and people. “I think the only way to get ahead in life is to see all humans as just that — humans. If you don’t meet lots of different types of people, it’s hard to learn that lesson,” she said. Bryce’s shares her adventures on her website is TheLuxurySpot.com, and recently wrote about things for families to do in St. Maarten. The family plans to go back to Israel this year and hopefully eastern Asia by early 2018.